Russell Wilson, with his family and friends, celebrated his 60th birthday at the Windmill pub in Hollingbourne, Kent on 13th January 2001. To see an enlargement click on the picture. 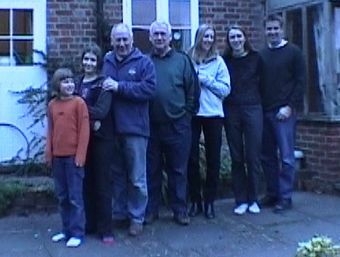 Pictures are from video taken (inside in poor lighting) by Ian Goodall with a digital camcorder.